The future of the Affordable Care Act may rest on McCain's recovery and return to Congress. A Senate vote to repeal the ACA -- often called Obamacare -- was shelved after McCain, 80, underwent a minimally invasive craniotomy above his left eye Friday. Doctors drilled into his skull and removed a roughly 2-inch blood clot, according to a statement from his office. Senate Majority Leader Mitch McConnell needs McCain's support if he is to dismantle the ACA, a longstanding Republican goal. Repeal of the Obama health care act will require approval from 50 of the Senate's 52 Republicans, and two have already pledged to oppose the bill. McConnell has said voting will start when McCain, who is serving his sixth term, returns to work. McCain is in good spirits and will spend the week recovering in his home state of Arizona, his office said. Follow-up tissue pathology expected any day will determine the cause of the brain bleeding, and whether McCain will require further treatment, said Dr. Amir Dehdashti, a neurosurgeon with Northwell Health's Neuroscience Institute in Manhasset, N.Y.
McCain has a history of melanoma, a dangerous skin cancer that can spread to the brain and cause bleeding, Dehdashti noted. 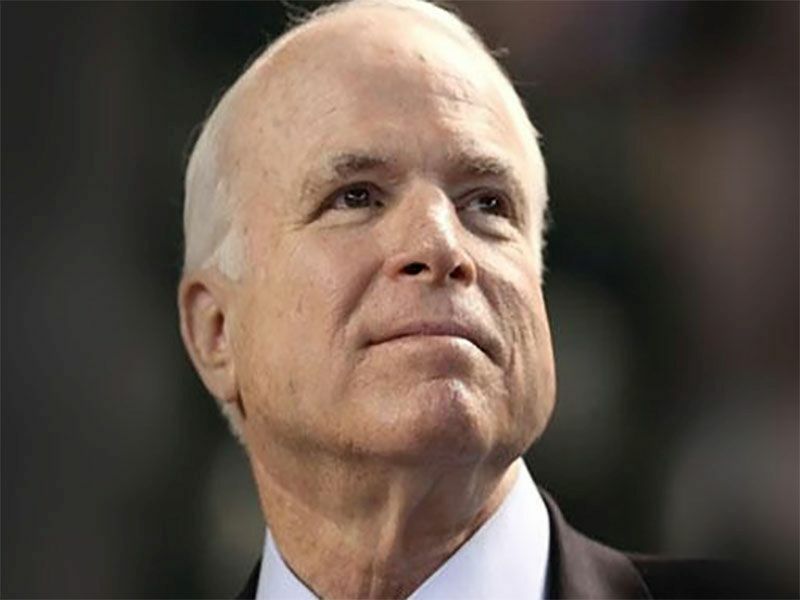 However, it's more likely that McCain simply developed a blood clot in his brain, said Dr. Joshua Bederson, chair of neurosurgery for the Mount Sinai Health System in New York City. Such blood clots in the 80-year-old age group occur commonly, while brain tumors caused by melanoma are very rare, he added. These clots can occur due to blood thinners or aspirin regularly prescribed to seniors, particularly if they suffer some sort of head injury, Dehdashti said. A week's recovery following a craniotomy of the type indicated by the senator's office sounds about right, Dehdashti said. "If the bleeding did not involve the functional areas of the brain, then one week is reasonable," Dehdashti said. Bederson agreed that McCain should recover quickly, barring any unforeseen health problems. "I've operated on a lot of people like this -- high-powered people who are still in their prime, and they make a full recovery," Bederson said. However, several questions remain regarding McCain's condition, and the answers could mean more recovery time or treatment, Dehdashti said. For example, the senator's office has not said whether McCain suffered any neurological effects from the blood clot, such as problems with speech or reasoning, Dehdashti said. The fact that doctors only needed a small opening to remove a relatively large blood clot indicates that the clot had been there for some time, said Bederson. "The longer the time that has passed between the bleeding and when you intervene, the more liquid is the blood and the smaller the opening," Bederson said. "You can just drain it, and it all drains out. If this were to have happened recently, the blood is still very clotted and tenacious. You have to do a more aggressive removal through a bigger opening. " Given that timing, the blood clot could explain McCain's confused questioning of former FBI Director James Comey during a Senate Intelligence Committee hearing in June, Bederson said. The incident raised questions about the senator's mental state, but McCain blamed his confusion on a too-late night spent watching baseball. "It's obviously speculation, but that would fit perfectly the time course," Bederson said. "If he had had some bleeding that occurred around that time and had some pressure on the brain, it could have made him confused and he just dealt with it and powered through and recovered on his own." This also could explain why doctors went looking for the blood clot found in McCain's brain. According to the senator's office, McCain's blood clot was discovered following a routine annual physical. "They imply it was part of a routine exam, but that doesn't sound right," Bederson said. "You don't just routinely scan people. So there was something there." The location of the craniotomy indicates surgery "in an area of the brain that is not really affecting the major functions, and is not debilitating in terms of the need for staying in the hospital and rehab for speech or movement function," Dehdashti said. Although "sizable," the blood clot apparently was found in a "relatively silent area, where a lesion can sit without too many problems," Dehdashti added. "My hope is this lesion is quite far away from the critical functional area of the brain," Dehdashti said. Unless the pathology finds evidence of melanoma, McCain should be able to return to work very soon, Dehdashti and Bederson concluded. "I don't think this is a Sword of Damocles hanging over him," Bederson said. "He should be able to make a full recovery and get back -- and vote his conscience."